Excavated from an archaeological site in 1964, this shank was made from the shell of a black-lipped pearl oyster found only in the tropics. Early Polynesians must have brought it with them when they voyaged to New Zealand, and its design suggests it may have come from the Marquesas. 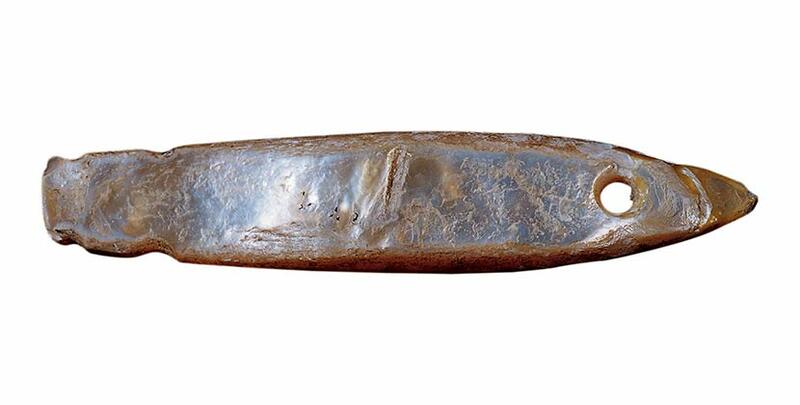 The lure is one of very few such items that archaeologists are certain came from Polynesia. The layer in the midden where it was found has been carbon-dated to between 1267 and 1392 AD.